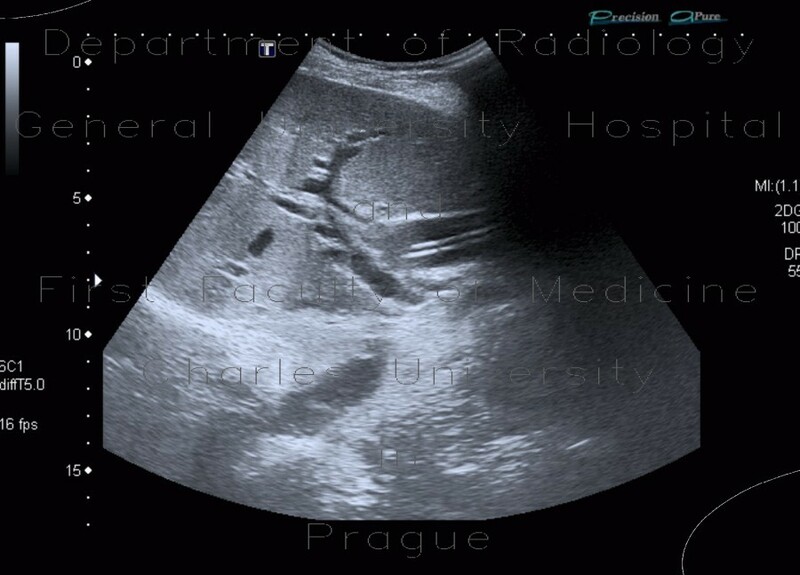 A double-line can be seen within a dilated choledocheal duct. Central intrahepatic biliary ducts are dilated as well. There is no pneumobilia present.